If you follow me on instagram or facebook, you got a sneak peek of this over the weekend…. 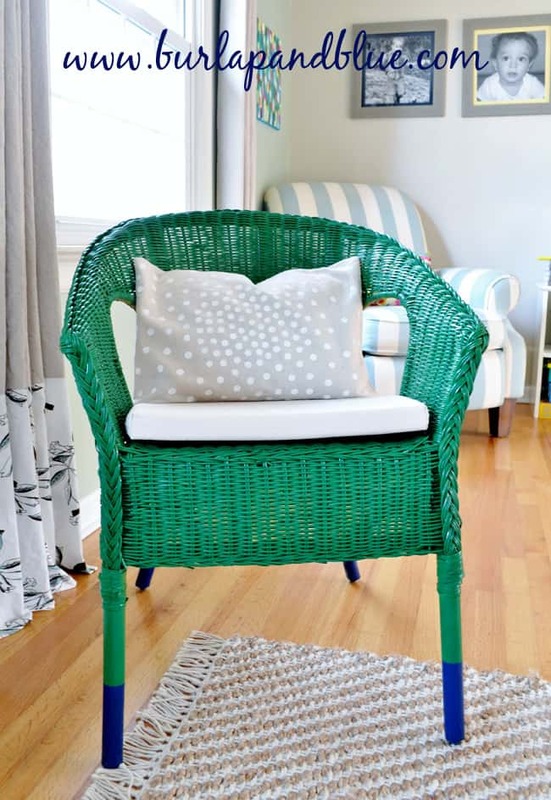 At a recent Ikea excursion, I picked up this simple wicker chair with the intent of gussying it up a bit for our living room. I got it home and, while trying to decide on a color for it, decided on a trend double-whammy-pantone’s color of the year, emerald green, for the chair and dip dyed legs in navy blue. Now, you all know me-I tend to steer clear of the latest and greatest trends, but I wanted this piece to be fun, and it’ll be so easy to repaint once I get tired of the color scheme. For now, though, I love the pop of color and extra seating it gives the space. Tell me, what’s the last trend you embraced for your home? I’m obsessed with the Navy dipped awesomeness!!! So brilliant!! 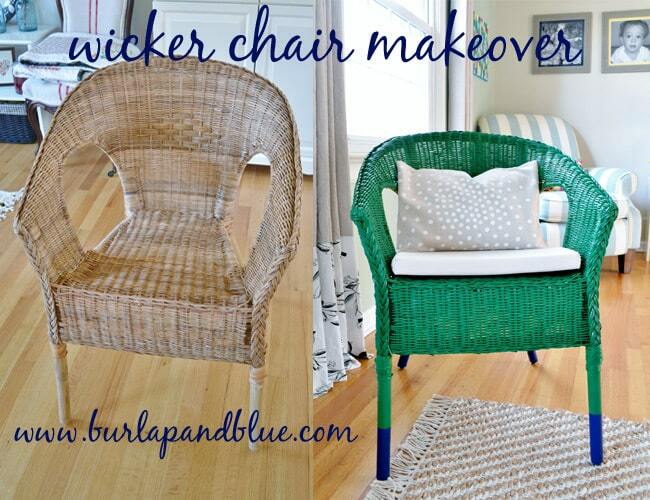 Saw your project over at Thrifty Decor Chicke. Love the emerald green color, and the additional detail of the navy dipped legs. Super-cute! 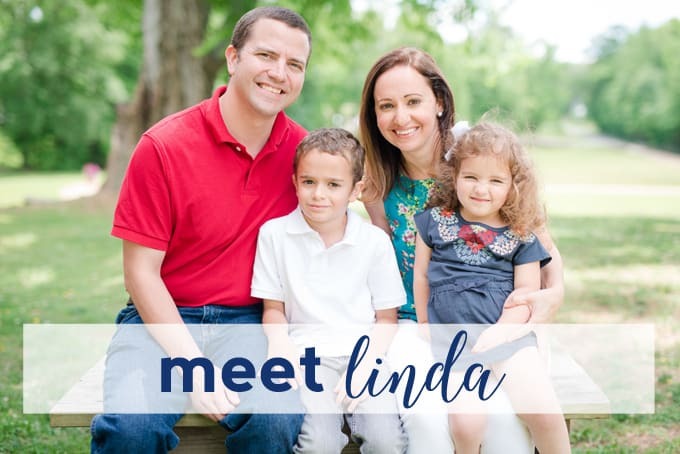 Hi there, linked over from Home Stories. Love your chair! Can you tell me what paint was used on the chair? I used spray paint! I think it was rustoleum brand. thanks, brenda!! Ummm… LOVE it! The Navy dipped legs are straight up gorgeous! 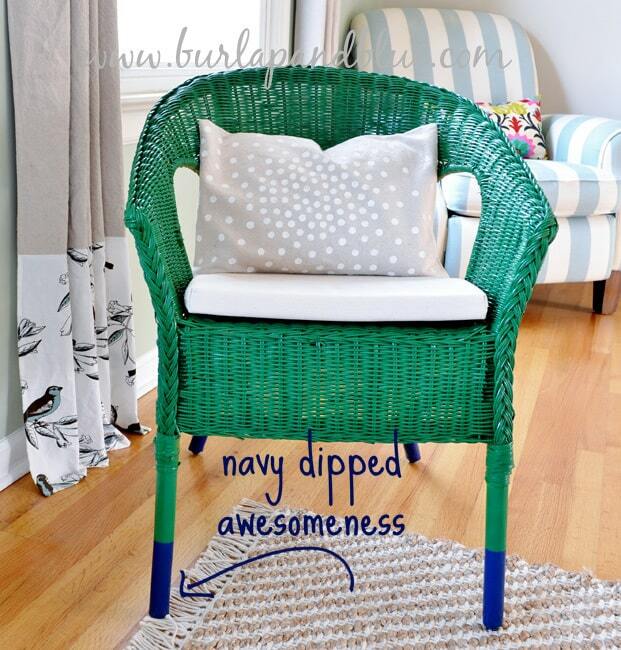 Such a fun way to spruce up a simple wicker chair! The chair looks great. And I love that pillow!